Power-mad Norman Osborn thought he was a match for the might of Earthbound Asgard. He was half-right: The reassembled Avengers drove him back, but the Realm Eternal lies in ruins. 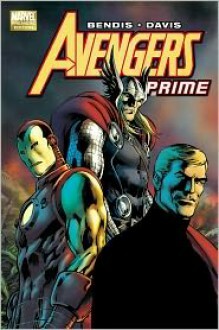 In the wreckage, former Captain America Steve Rogers, Iron Man and Thor find themselves squabbling over old wounds. As they quarrel, unstable magics cast the heroes-at-odds into the scattered Nine Realms. Separated, and with no clear path home, they quickly realize the world in which they're trapped is not how it should be. Have their actions somehow caused a rift in the natural order? Can they come together and put it right? Their bittersweet reunion may be short-lived, with Hela - Norse Goddess of Death - waiting in the wings! Beautifully illustrated by Alan Davis, this tells of the aftermath of the fall of Asgard and involves Thor, Captain America and Iron Man as they face Hela and the Enchantress.Well-told, it's a very good read and recommended to all. This was a slightly silly story involving some ridiculous plot laid out by the Norse Goddess of Death. But it had a couple pages of Tony Stark riding a horse naked, and Iron Man/Captain America bromance. So it evened out in the end.